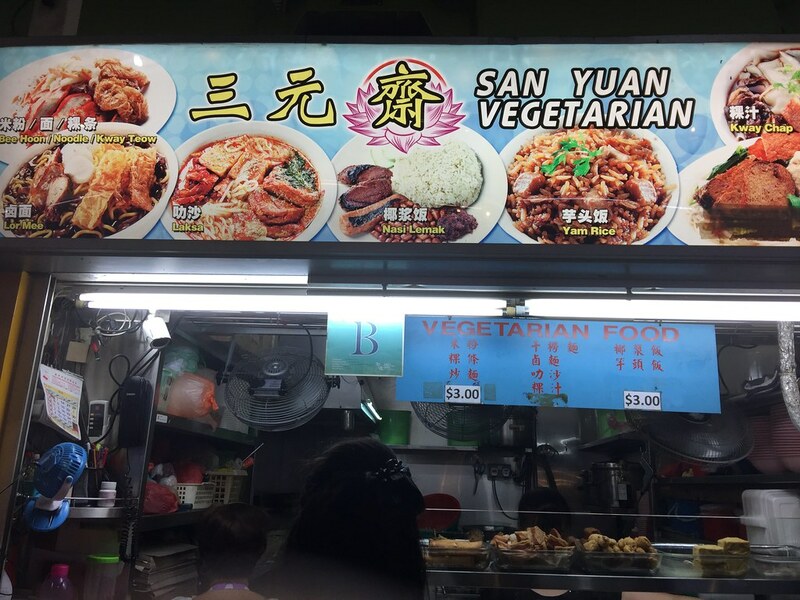 A very popular vegetarian stall near my home is San Yuan Vegetarian at West Coast Market Square Food Centre. A long queue is always spotted at the stall whenever I visit the food centre in the weekend for breakfast. The stall sells a variety of items such as vegetarian Kway Chap, Nasi Lemak, Laksa and Lor Mee. 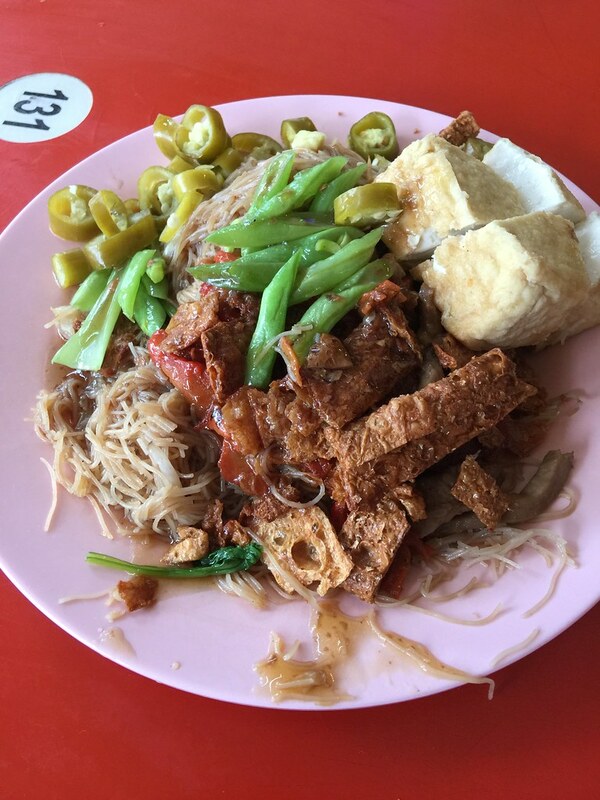 However my favourite item at the stall is their Vegetarian Beehoon ($3). 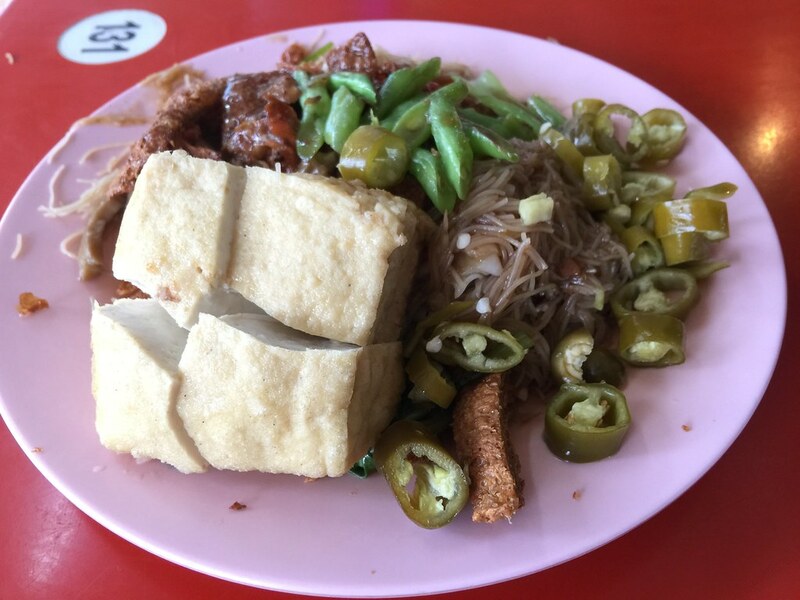 If you order the standard vegetarian beehoon, it comes with some stir fried french beans, fried beancurd and vegetarian char siew. For my recent visit, I decided to add a tofu for an extra $2. 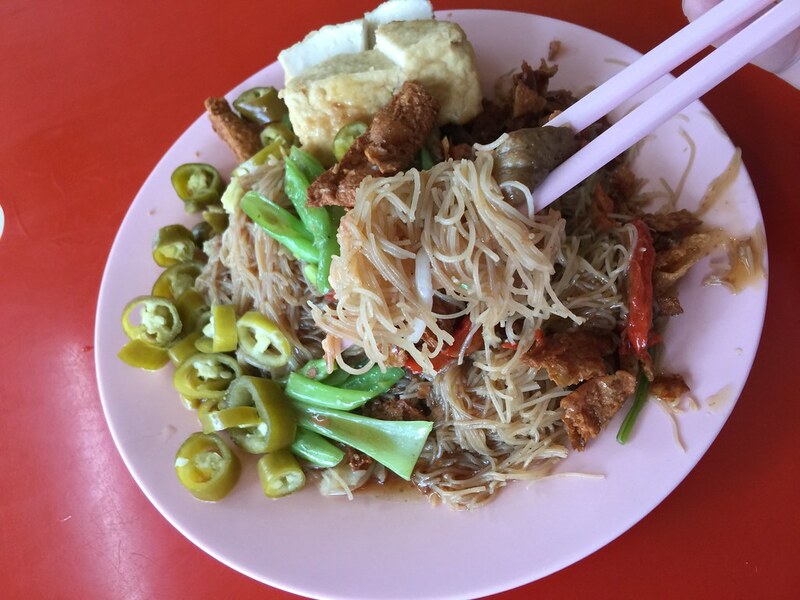 Whenever you order the vegetarian beehoon, the staff will ask whether you want to have the sauce drenched over the noodles. I prefer to have the sauce so that the noodle is not dry. However my wife finds the sauce too gooey and she doesn't like it. 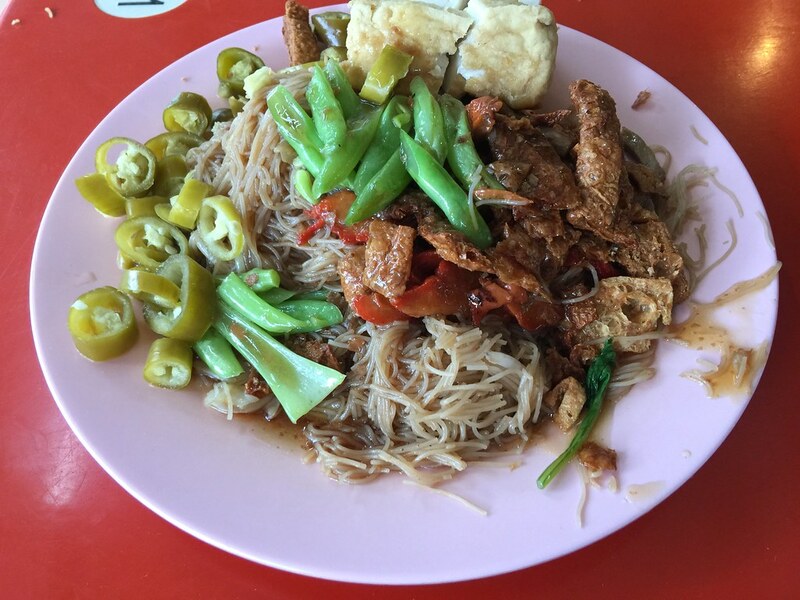 Some of my friends commented that three dollars for a plate of vegetarian beehoon at San Yuan Vegetarian is rather expensive. I have not done a survey to compare the prices with other vegetarian stalls. What do you think? Is it expensive?